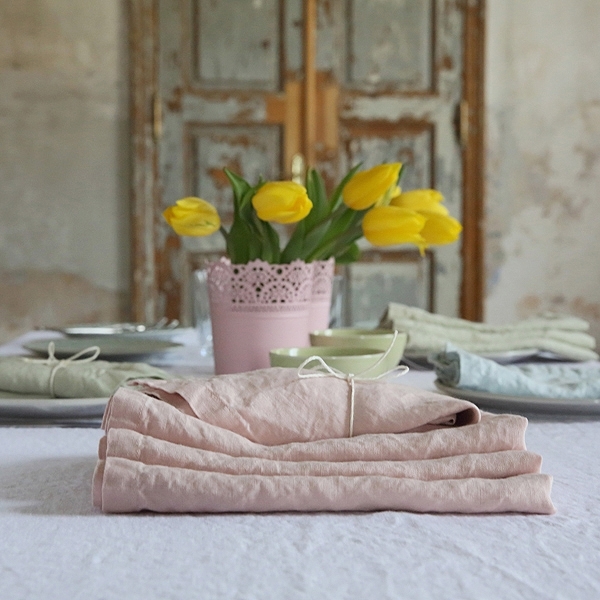 There are lots of reasons for which I love linen. It’s simple and comforting, special yet unpretentious. But it is also the best thing to wear during summer. And I can personally vouch for this. So in this article, I will share with you the story of how I discovered, explored, and started to love linen. There was a time when I didn’t care that much about the materials that I was wearing, or about the clothes that I was wearing for that matter. And I simply guided myself only after my level of comfort. But in recent years, I’ve discovered that, now and again, you find that one piece of clothing that makes you wish you could buy it over and over again to have and wear forever. And after experiencing this several times, I thought of a smarter way to make these clothes have an actual impact. By not going after the clothes, but rather after the material. And so my quest began. My first linen piece of clothing was discovered by accident. I had just bought a lovely pair of summer pants for no other reason than the fact that I liked them and that they were comfortable. Nothing more, nothing less. I didn’t even look at what they were made of at the time. But after noticing how well they fit and how good I felt in them, the search began. After learning that they were made out of linen, I began looking for all typed of clothes that could be made out of linen and worn. And this is where it all began, and I started to love linen. Bit by bit and day by day I did my research. And I ended up browsing through hundreds of linen products. Because you can buy so much more than clothes made out of linen. You can buy bed linens, towels, napkins, tablecloths, curtains, etc. 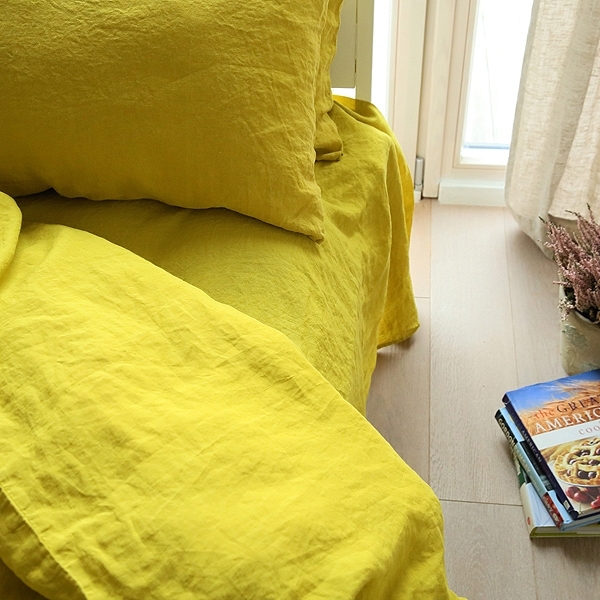 Almost any textile that you can find and use inside your home can be made out of linen. And I fell in love with them all. So that was a few good years ago. 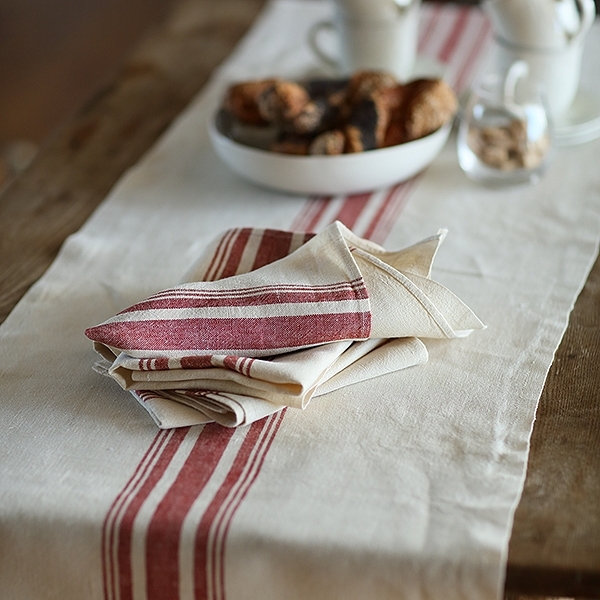 But it wasn’t until recently that I also started buying and using products made out of linen. 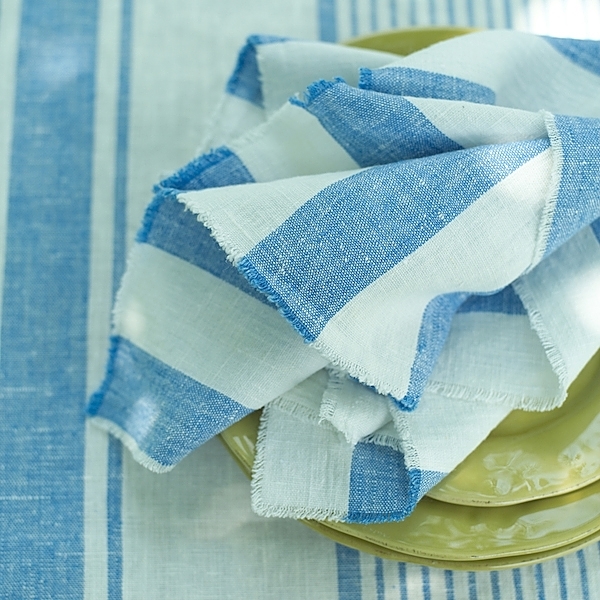 Most of all because linen is not the cheapest material that you can get your hands on. And this is especially applied to linen products. But my love reignited, so to speak, when I started writing articles for Ahomeround and I discovered some of the most beautiful household products made out of linen. 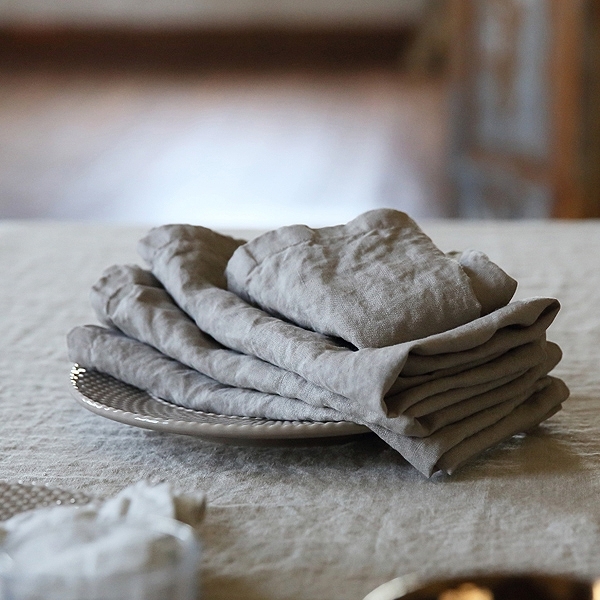 So almost one year ago (in March) I wrote two articles on the subject of linen products – Line your dining table with these beautiful linen napkins – and – You need to check out these bed linens! 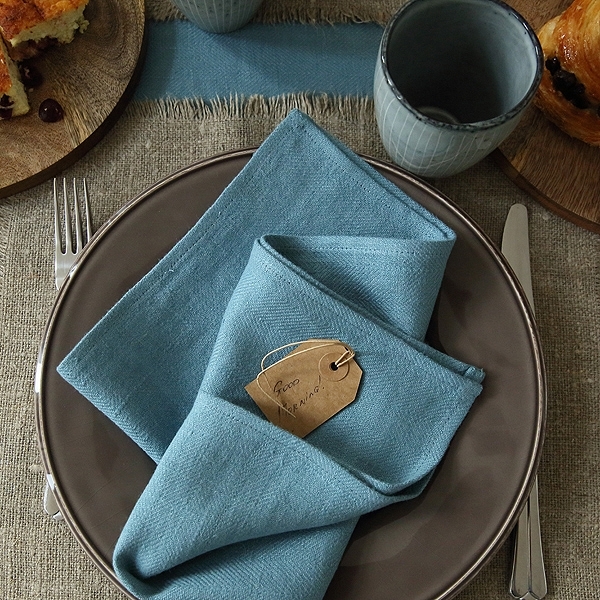 and I encourage you to check them out if you are in any way fans of linen, napkins, or bed linens. The featured store in both of these articles is Linenme, a gorgeous store with incredible attention to detail and high-quality products which I encourage you to check out. As you may know by now, in my search for unique and beautiful products, I always try to discover unique and beautiful Romanian stores. Because I love being able to support the local market and sharing them with you is even more exciting. And since I have certain standards when it comes to the products I use and wear, I think that you will find them enchanting as well. So, I discovered a lovely Romanian shop which commercializes handmade linen products. And I decided to go a bit local and buy for my sister what I considered a lovely birthday present. 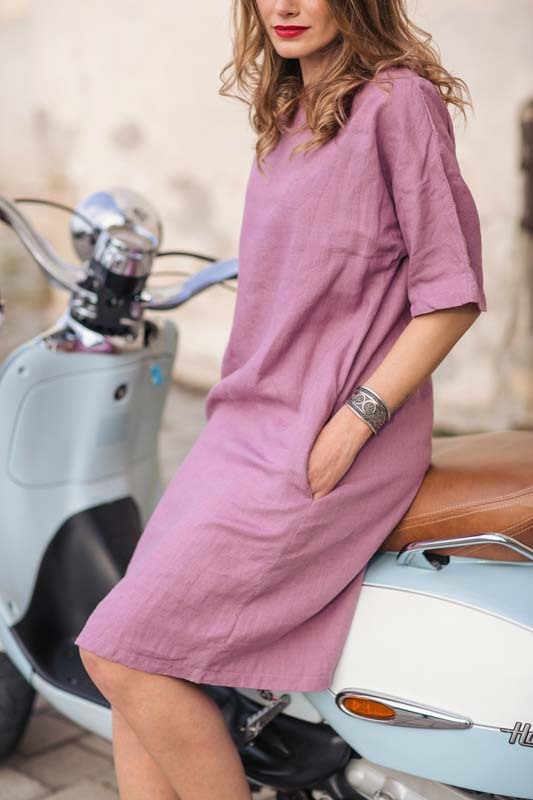 A beautifully simple and relaxed linen dress from Lin.Store.Ro . The dress that I bought for my sister you can find a picture of below. It is the plain sand colored one on the right. Not only is the material of extremely high quality, but the work put into it as well. And this is one thing that I learned to appreciate from small business owners and product creators. That they focus on every detail and make sure that every single order they fulfil gets all of their attention. 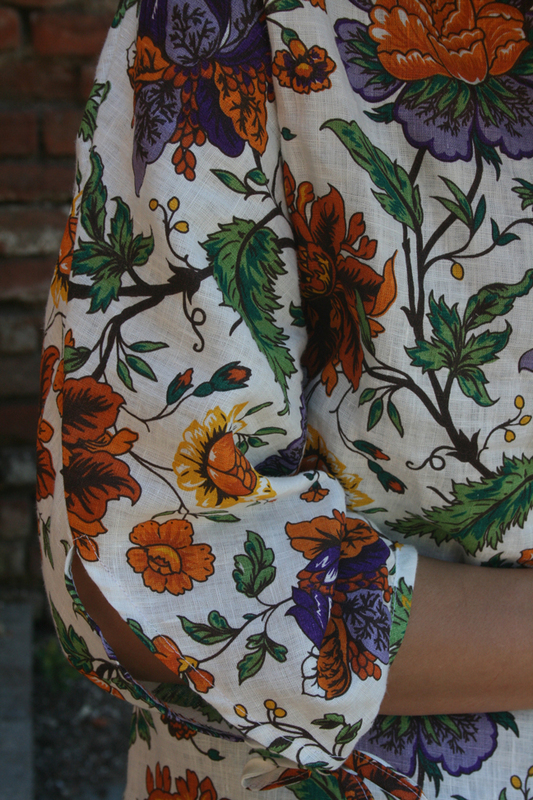 So, if you are fans of beautiful and simple clothes I encourage you to check the store out. But only now do I get to talk about the star of this article. A gorgeous piece of garment that I have purchased for myself recently, and which makes me very excited in waiting for spring or summer to get here and for me to be able to wear it. 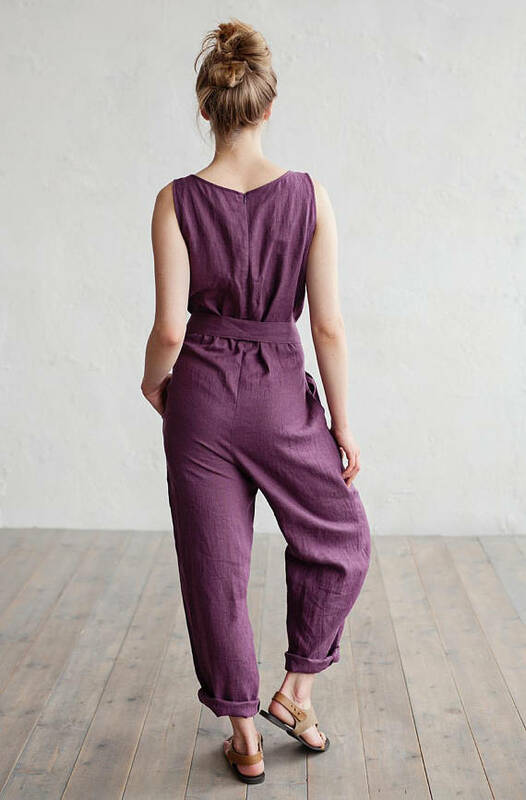 I am talking about a beautiful and comfortable linen jumpsuit, which I discovered while browsing Etsy. 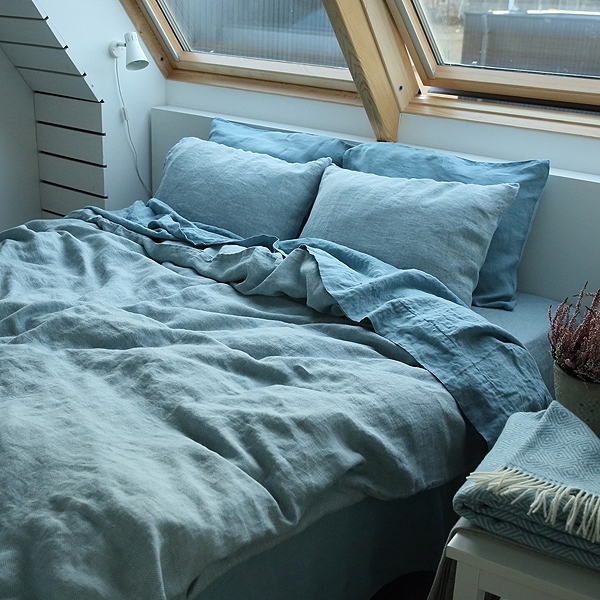 The store is called MagicLinen and they feature a wide variety of linen products, from clothes to household textiles. I actually discovered them after seeing the jumpsuit and wanting to find out more about their products. But from the first time that I it, I knew that I would buy it eventually. It not only feels relaxed and comfortable but, check out the photos, it also looks relaxed and comfortable. And I love this about it. Almost as much as I love linen in general. Please check out their store and see if you find something that will make you want to buy it from the very first moment. Because their products surely conquered me. 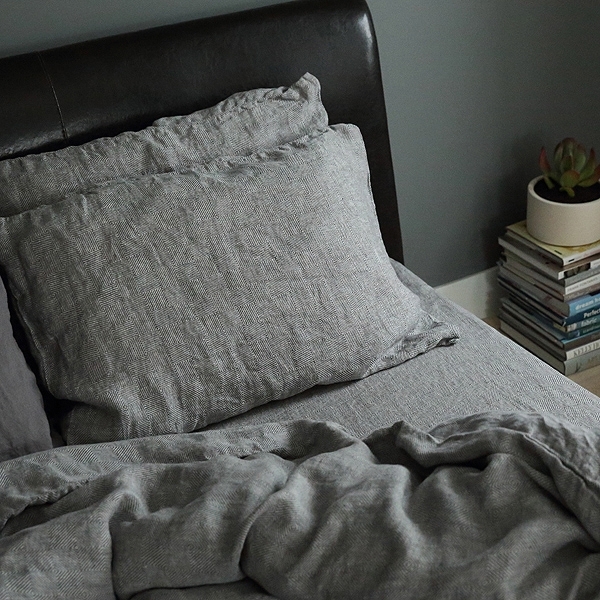 So this is my story and how I got to grow my love for linen. I hope that you find something worth your time in this article. And I hope that maybe I’ve helped you discover a product for yourself or a present for someone dear. Let me know what are your thoughts on linen and if you enjoy any of the stores or products featured in this article. Until next time.